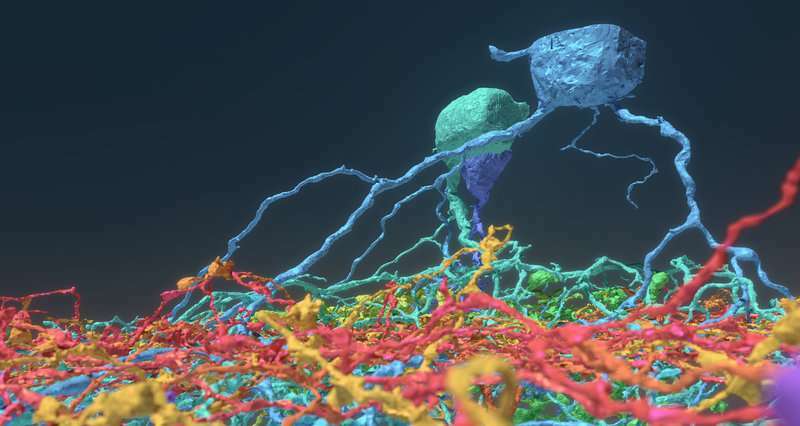 With the help of a quarter-million video game players, Princeton researchers have created and shared detailed maps of more than 1,000 neurons—and they're just getting started. "Working with Eyewirers around the world, we've made a digital museum that shows off the intricate beauty of the retina's neural circuits," said Sebastian Seung, the Evnin Professor in Neuroscience and a professor of computer science and the Princeton Neuroscience Institute (PNI). The related paper is publishing May 17 in the journal Cell. "Back in the early years it took weeks to finish a single cell," said Sterling. 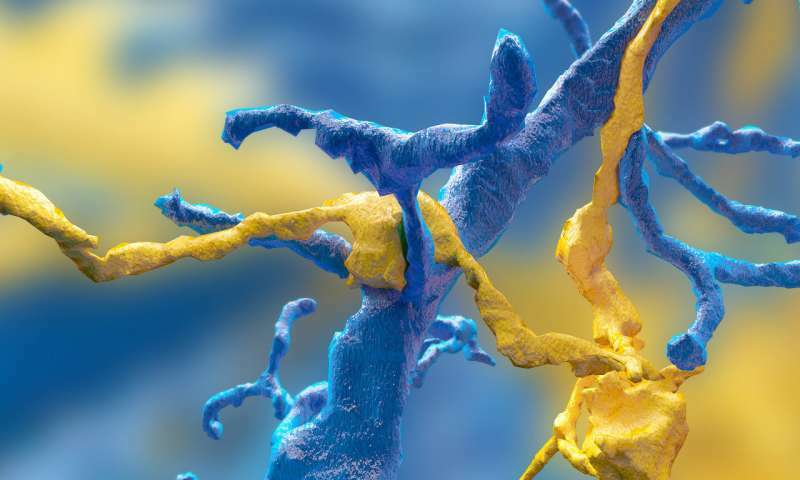 "Now players complete multiple neurons per day." The Eyewire user experience stays focused on the larger mission—"For science!" is a common refrain—but it also replicates a typical gaming environment, with achievement badges, a chat feature to connect with other players and technical support, and the ability to unlock privileges with increasing skill. "Our top players are online all the time—easily 30 hours a week," Sterling said. "The community has really been the driving force behind why Eyewire has been successful," Sterling said. "You come in, and you're not alone. Right now, there are 43 people online. Some of them will be admins from Boston or Princeton, but most are just playing—now it's 46." "The number of different cell types was a surprise," said Mu. "Just a few years ago, people thought there were only 15 to 20 ganglion cell types, but we found more than 35—we estimate between 35 and 50 types."